Do Brandon Micheal Hall Or Violett Beane Have Relationship "Pet" Peeves? What Would You Do If The Almighty Tried To Add You On Facebook? 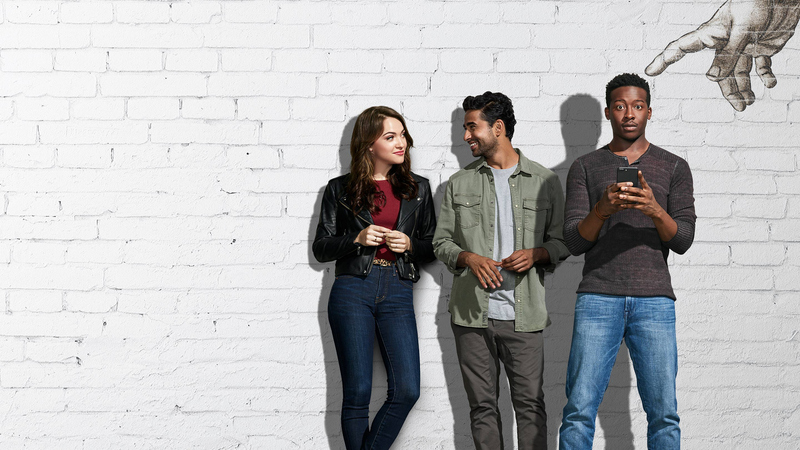 God Friended Me is a humorous, uplifting drama about an outspoken atheist whose life is turned upside down when he receives a friend request on social media from God and unwittingly becomes an agent of change in the lives and destinies of others around him. Miles Finer is intelligent, hopeful and optimistic, but he doesn't believe in God. This puts him at odds with his father, Reverend Arthur Finer, a beloved preacher at Harlem's Trinity Church for 25 years who is stung by his son's strong rejection of his faith. Miles feels he's found his purpose in life hosting a podcast where he's free to speak his mind, but that changes when he receives the ultimate friend request. After repeated pokes by God, Miles' curiosity takes over, and he accepts the request and follows the signs to Cara Bloom, an online journalist suffering from writer's block. Brought together by the "God Account," the two find themselves investigating God's friend suggestions and inadvertently helping others in need. Joining them on their journey are Miles's supportive sister, Ali, a doctoral psych student by day and bartender by night, and his best friend, Rakesh, a sometime hacker who helps Miles and Cara research the enigmatic account. Miles is set on getting to the bottom of what he believes is an elaborate hoax, but in the meantime he'll play along and, in the process, change his life forever.